One of the remarkable abilities of babies is to force you to throw everything that you have ever loved. This happened several times before Venla was once, again after she was born, and now more time. With each iteration, you think there is nothing more you could possibly do without. But there is. You have to keep getting rid of more and more stuff. In general, I think this is therapeutic. However, it is not like we now have less stuff. It just means we have different stuff. One of the latest victims is my guitar amplifier. 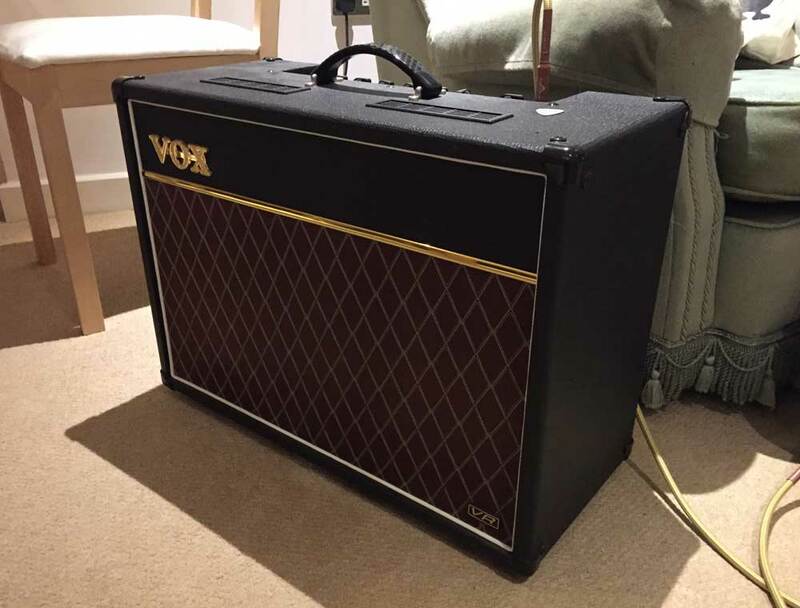 I had a beautiful Vox AC15VR with a value pre-amp. Unfortunately, it had nowhere to live. 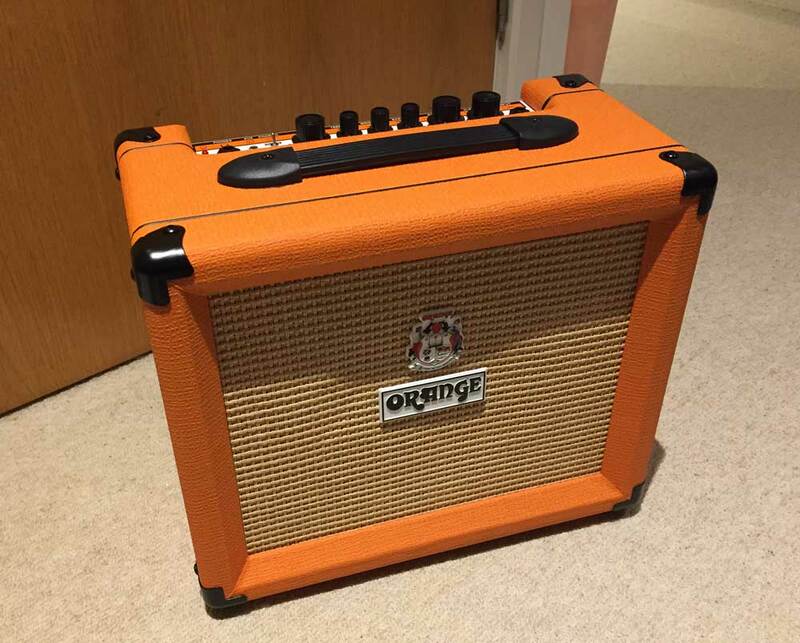 I have had to sell it and replace it with a small Orange Crush 20. It does look cool, but it does not sound as good. It does, however, fit in my apartment. The moral of the story? Buy an amp large enough that it itself can become a piece of furniture you can store things on. Don't have time to check my blog? Get a weekly email with all the new posts. This is my personal blog, so obviously it is 100% spam free. This entry was posted on Sunday, February 12th, 2017 at 11:00 am and is filed under Family & Parenting, Music. You can follow any responses to this entry through the RSS 2.0 feed. Both comments and pings are currently closed.